Generally, it’s pretty heartening to see a female-driven narrative that is written and directed by women. I know that sounds pretty gendered, but with more than 80-90% of films led by male producers/directors and with everything from award shows to festivals populated mostly by men, it’s nice to see films being made by women, like Suffragette. 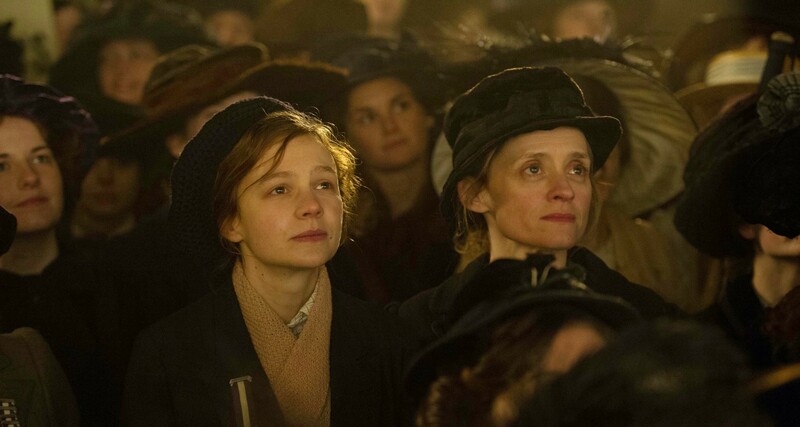 I did some digging and of the various characters that form the collective in Sarah Gavron’s Suffragette – Carey Mulligan playing the protagonist Maude Watts – is a mix of various stories fictionalized into this obedient wife and good mother turned militant activist and social pariah who risks everything for what she believes in. I have to say that the first 15 to 20 minutes of the film left me dumbfounded. They shouldn’t have, but they did. Most of the discourse noted how ‘a right to vote would mean women being in parliament’ and that ‘a right to suffrage is not needed by people whose decisions are made by their husbands,’ and the list goes on. This is not talk from many centuries ago or the middle ages, this is less than a hundred years ago, when more than half the world’s population did not have the basic right of suffrage. Maude is a washerwoman and her life is a tireless effort to support her husband and her household. Her chance testimony before the House of Commons is telling, and she goes through the life she has led. She began washing clothes at 7 years old, and by 12 she was working full time. The rise up the ladder from a low class scrubber to a senior washer didn’t take long and took her from a few shillings a week to 13, which was still 5 shillings less than men (a reality that hasn’t changed in 2015 in many parts of the world). Soon her desire to fight for equal rights puts her at odds with her husband and she has to make the choice between her idealism and her family life. As if her life can’t get worse, she ends up losing her son to an adoptive family, living in abandoned churches or other makeshift arrangements supported by the suffragette movement. The film has come under criticism for whitewashing the suffrage movement and how the all-white cast of the film leaves no room for the people of colour who actively bore beatings and prison torture up front as flag bearers. I lay no claim to being an expert of the movement, nor feminism, so all I will say is that I am not surprised at this. Whitewashing is common when tackling historical pieces and events. My own response to this is that I don’t see films through the sole prism of how they are presented to me, and my viewing of Suffragette didn’t leave me with the belief that it was only white British women who were fighting for women’s right to vote. The problematic bit is the film’s claim of representing true events and then being selective about who to depict. I am sure this will not stop Mulligan from getting a nod when the awards nominations roll out in early 2016. All credit to the actress for doing justice to her character. Not negating the choice of a prejudiced narrative, specific to character representation, I think the film does do well to remind us that equality is hard fought and that in 2015, as it was in the 1920s, equality is not at all pervasive. We (should) collectively continue to fight the basic and fundamental battle of treating all human beings equal. Make it the most wonderful time of the year… with choral music!